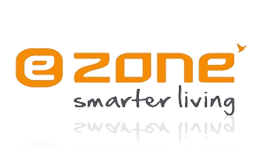 Ezone is a lifestyle electronics retail format under the umbrella of Future Group, which brings together the best in national and international consumer electronics and durables brands in a family-centric environment. Ezone with its catch phrase 'Smarter Living' plays the role of the digital diet planner who enables you to buy the latest & coolest electronics to live smarter. Ezone provides you with a complete shopping experience through touch & feel, allowing you to pick and choose from an array of best of brands under one roof. Spread across 14 cities across India with 54 stores and still growing. Ezone offers top brands across electronic categories like LCD’s, LED’s, Laptops, Audio Systems, Mobiles & Smart Phones, AC’s, Refrigerator and more. Ezone is primarily a stand-alone concept, but is also present within other Future Group formats like Central malls, Pantaloons & Home Town. 1. Gift Vouchers are applicable on all products (not services) – Excluding Mobile Handsets below offer price of Rs.5000/- at E zone Stores. 2. This Gift Voucher can be used only at E zone stores and cannot be redeemed on www.ezoneonline.in. 3. This Gift Voucher has to be redeemed in full and partial redemption is not allowed. 4. This Gift Voucher cannot be exchanged for cash or cheque. 5. In case of loss of Gift voucher or misplacement, no duplicate will be issued. 6. Gift vouchers expired will not be revalidated. 7. The holder of this Gift voucher is deemed to be the beneficiary. 8. Any dispute should be referred to Pantaloon Retail India Ltd & decision of the company will be final. 9. Disputes if any are subject to Mumbai jurisdiction only.